The Dunes Boardwalk Cafe and the rest of the complex was home to many beachgoers in the summer months at Asbury Park. It was a place you went to get a Playa bowl or a Bubbakoo Burrito after surfing all day long or for regular beachgoers who wanted to purchase apparel while on vacation. On March 13th, a fire broke out and set the whole building in flames. This drew hundreds of people to come to watch who spent countless summers coming in and out of the stores/ cafe. For me, I had been going to the stores and cafe/restaurants since I was a little kid so it was hard to watch it all unfold like this. 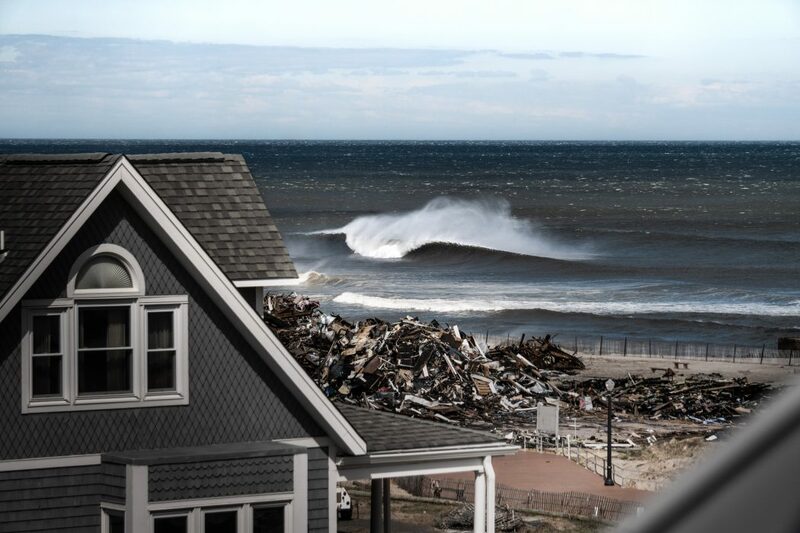 The place became a landmark for people around the Jersey Shore and it is now gone. The next day (March 14th), smoke/ fog covered the entire North Jersey and it was apparently able to be smelled all the way to Long Branch, multiple miles away. I woke up the next morning (today: 4/15/19) and the conditions were not good anywhere in New Jersey. But by mid-afternoon, I was able to snag a few shots as conditions cleared up for a little bit. I knew I wanted to get this shot and luck played into having waves the same day the contest closes. Shoutout to the people who gave me access to getting these shots from this vantage point, it will definitely go down as some of my favorites yet.